Shoreline Marine All-Round Light Fold Down 12"
BMK utilizes the latest technology in AGM, GEL, Flooded(Wet), Calium type deep cycle, VRLA maintenance free lead acid batteries charging. Can be used with 12-100Ah batteries, while for the best results, use with 12-60Ah batteries. 1.Connect the AC cord to the socket, The [power] LED (red) will light on solid. 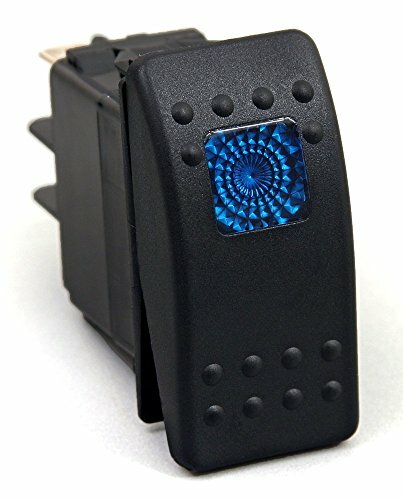 3.Depend on the charged capacity, 25%~100% LEDs will lights up solid, When all are ON, the battery is fully charged, you can disconnect the battery to use or keep it connected to charge in float mode. If battery stays at stage 2 after 24 hours of charging, then the battery is defective. Standard Duplex Cable - Flat 16/2 AWG - 2 x 1mm Red/Black - 100'. 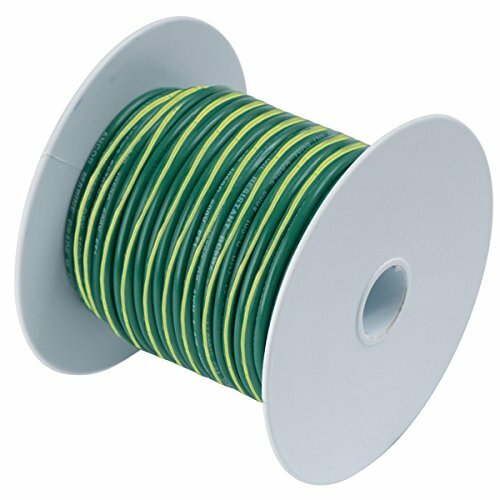 Ancor Marine Grade wire products are the longest lasting and most rugged available, exceeding UL 1426, ABYC and US Coast Guard Charter boat (CFR Title 46) standards. They are constructed with premium vinyl insulation that is rated at 600 Volts, 105 DegreesC dry and 75 DegreesC wet, stays flexible even in extreme cold (-40 DegreesF/C) and resists salt water, battery acid, oil, gasoline, heat, abrasion and ultra-violet radiation. Highest quality ultra flexible (Type 3) tinned copper stranding provides maximum protection against corrosion and electrolysis while resisting fatigue due to vibration and flexing. Manufactured from individual copper strands and tinned to perform in the harshest marine environments. Ultra-flexible Type 3 stranding resists fatigue from vibration and provides added corrosion protection. Exclusive insulation is rated at 600 Volts. Fold Down All-Round Light adds the convience of a permantly mounted all-round light. 12" height provides maximum height for excellent visibilty while fold down feature still makes storage and transportation easy. For all 12 VDC electrical systems. Installation is easy with pre-wired pigtail harness. The GENM2 On-Board Battery Charger offers the perfect mix of high-technology and rugged construction. With a fully-sealed, waterproof housing, the GENM2 can be easily installed and mounted directly onto a variety of applications and specifically designed for tough marine environments. 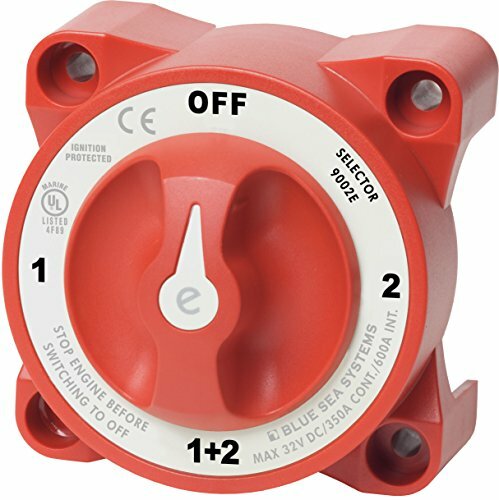 Its waterproof design is capable of withstanding submersion down to 3-meters for extended periods of time without failure, and rated IP68 and NEMA 6P, providing continuous operation in the most extreme environments. The GEN Series On-Board Battery Chargers is some of the most advanced charging technology in its class. Utilizing the latest topology and power design, it is one of the most compact and lightweight battery chargers. Its onboard processor is capable of detecting, diagnosing, recovering, charging and maintaining all types of lead-acid batteries. Safely charge Wet Cell (Flooded), Gel Cell, AGM and Deep-Cycle batteries with zero overcharge. Plus, it protects against reverse polarity, sparks, short circuits, open circuits, and thermal runaway. And the GEN Series On-Board Battery Chargers are completely automatic. 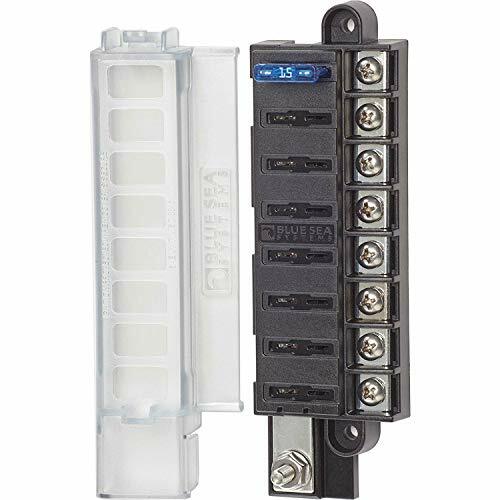 It continuously monitors the battery - while detecting any potential battery problems - shutting off power when the battery is fully charged, but observing the battery for optimal battery maintenance. 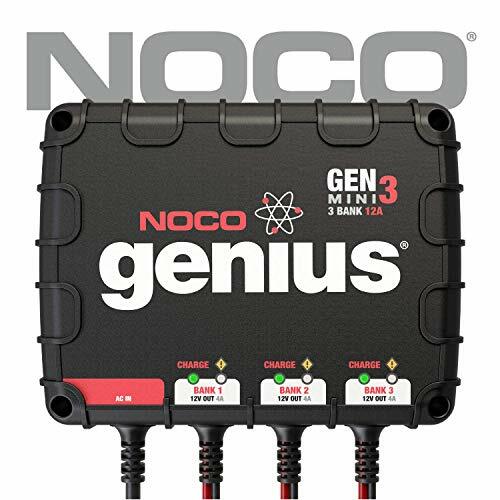 Not only does the GEN Series On-Board Battery Chargers have advanced safety features, but it also been tested and certified by multiple third-party laboratories, including Underwriters Laboratories UL1236, ISO 8846 Marine Standards, and Ignition Protection US Coast guard 33 CFR 183.410. And all of this is backed by our 5-Year Limited Warranty. 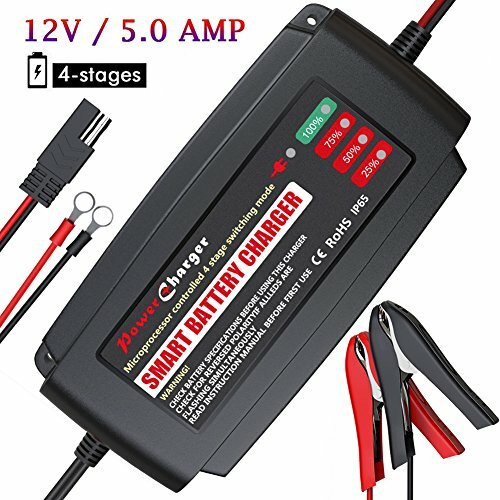 Other commonly used search terms: marine battery charger, boat battery charger, onboard battery charger, onboard marine battery charger, waterproof marine battery charger, onboard battery charger for boats, marine battery charger 2 bank, and boat battery charger 2 bank. An 8 amp (4 amp per bank) on-board battery charger for charging and maintaining two 12-volt batteries independently. Safely charge all types of lead-acid batteries from 20-120Ah, including wet, gel, AGM, and deep-cycle batteries. Advanced safety protection featuring spark-proof technology, plus reverse polarity, thermal, ignition, and overcharge protection. Rugged and waterproof construction capable of submersion down to 3-meters and rated IP68 and NEMA 6P. One of the most advanced battery chargers in its class, which is certified to UL1236, ISO 8846, 33 CFR 183.410, plus backed by a 5-year warranty. 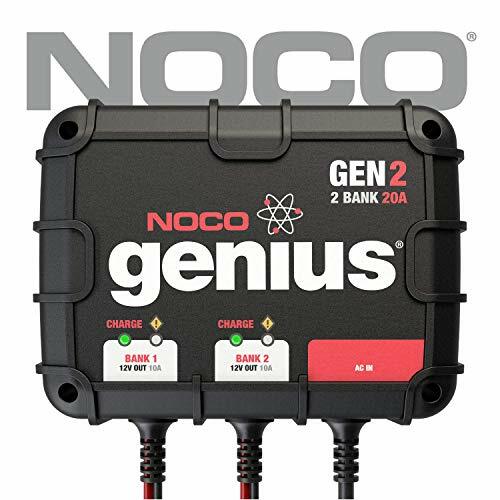 The GEN2 On-Board Battery Charger offers the perfect mix of high-technology and rugged construction. With a fully-sealed, waterproof housing, the GEN2 can be easily installed and mounted directly onto a variety of applications and specifically designed for tough marine environments. Its waterproof design is capable of withstanding submersion down to 3-meters for extended periods of time without failure, and rated IP68 and NEMA 6P, providing continuous operation in the most extreme environments. The GEN Series On-Board Battery Chargers is some of the most advanced charging technology in its class. Utilizing the latest topology and power design, it is one of the most compact and lightweight battery chargers. Its onboard processor is capable of detecting, diagnosing, recovering, charging and maintaining all types of lead-acid batteries. Safely charge Wet Cell (Flooded), Gel Cell, AGM and Deep-Cycle batteries with zero overcharge. Plus, it protects against reverse polarity, sparks, short circuits, open circuits, and thermal runaway. And the GEN Series On-Board Battery Chargers are completely automatic. It continuously monitors the battery - while detecting any potential battery problems - shutting off power when the battery is fully charged, but observing the battery for optimal battery maintenance. 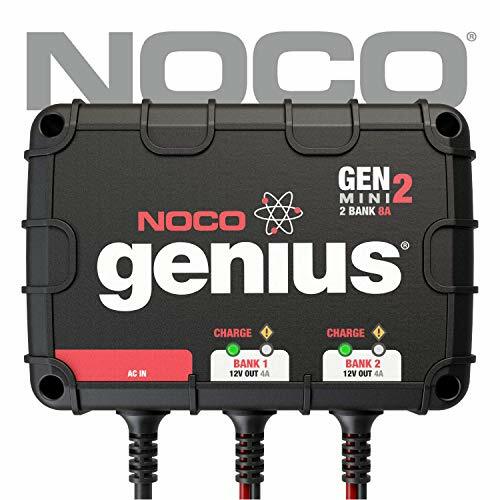 Not only does the GEN Series On-Board Battery Chargers have advanced safety features, but it also been tested and certified by multiple third-party laboratories, including Underwriters Laboratories UL1236, ISO 8846 Marine Standards, and Ignition Protection US Coast guard 33 CFR 183.410. And all of this is backed by our 5-Year Limited Warranty. Other commonly used search terms: marine battery charger, boat battery charger, onboard battery charger, onboard marine battery charger, waterproof marine battery charger, onboard battery charger for boats, marine battery charger 2 bank, and boat battery charger 2 bank. A 20 amp (10 amp per bank) on-board battery charger for charging and maintaining two 12-volt batteries independently. Safely charge all types of lead-acid batteries from 25-230Ah, including wet, gel, AGM, and deep-cycle batteries. 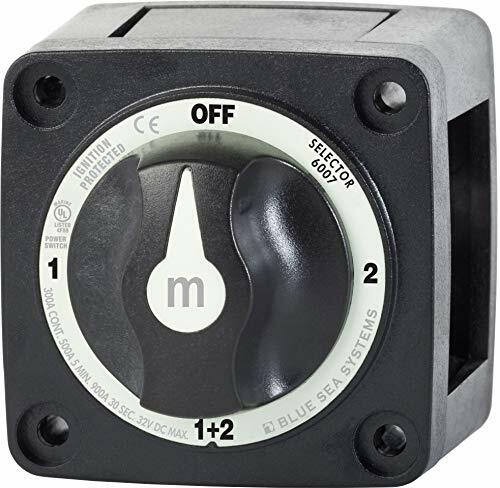 Amarine-made rocker switches are certified for prolonged submersion under water and are UL ignition protected, making them safe for installations around gasoline engines. The top actuator can be switched out easily when redesigning switch panels or replacing older switches. The GENM3 On-Board Battery Charger offers the perfect mix of high-technology and rugged construction. With a fully-sealed, waterproof housing, the GENM3 can be easily installed and mounted directly onto a variety of applications and specifically designed for tough marine environments. Its waterproof design is capable of withstanding submersion down to 3-meters for extended periods of time without failure, and rated IP68 and NEMA 6P, providing continuous operation in the most extreme environments. The GEN Series On-Board Battery Chargers is some of the most advanced charging technology in its class. Utilizing the latest topology and power design, it is one of the most compact and lightweight battery chargers. Its onboard processor is capable of detecting, diagnosing, recovering, charging and maintaining all types of lead-acid batteries. Safely charge Wet Cell (Flooded), Gel Cell, AGM and Deep-Cycle batteries with zero overcharge. Plus, it protects against reverse polarity, sparks, short circuits, open circuits, and thermal runaway. And the GEN Series On-Board Battery Chargers are completely automatic. It continuously monitors the battery - while detecting any potential battery problems - shutting off power when the battery is fully charged, but observing the battery for optimal battery maintenance. Not only does the GEN Series On-Board Battery Chargers have advanced safety features, but it also been tested and certified by multiple third-party laboratories, including Underwriters Laboratories UL1236, ISO 8846 Marine Standards, and Ignition Protection US Coast guard 33 CFR 183.410. And all of this is backed by our 5-Year Limited Warranty. Other commonly used search terms: marine battery charger, boat battery charger, onboard battery charger, onboard marine battery charger, waterproof marine battery charger, onboard battery charger for boats, marine battery charger 2 bank, and boat battery charger 2 bank. A 12 amp (4 amp per bank) on-board battery charger for charging and maintaining three 12-volt batteries independently.